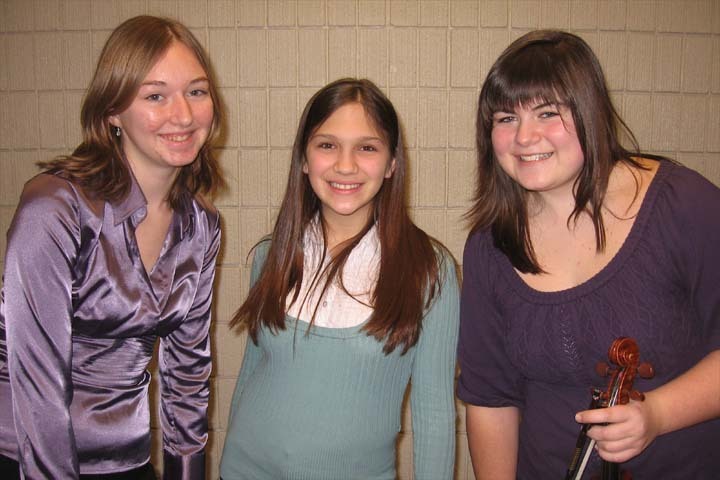 Madalyn and Mikayla with Lauren Pokorzynski who played a violin solo. 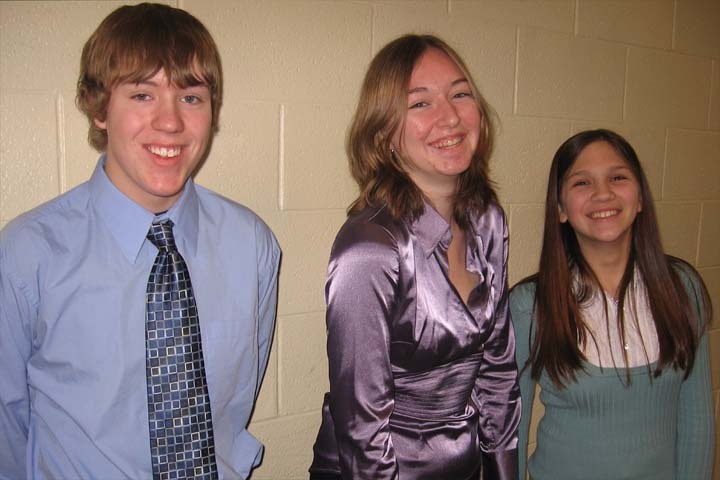 The event was held on January 30, 2009 in Cadillac. 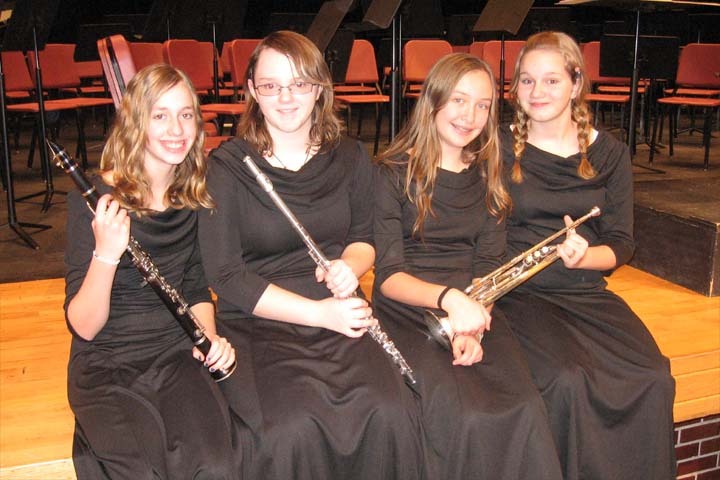 This photo is of Kaylan Fitch, Rebecca Cunningham, Claire Harvey, and Emily Barnard at the MSBOA District One Middle School Honors Band at Shelby, MI on January 20, 2009. They were directed by Daniel Meyers.